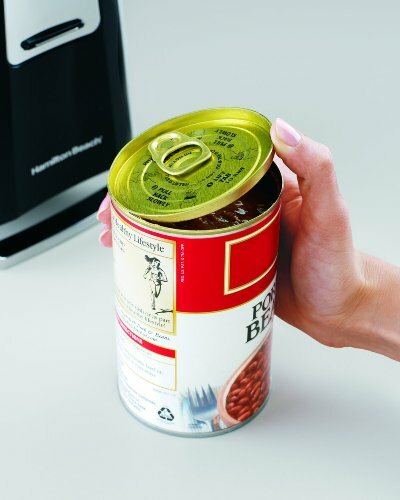 Deluxe can opener opens all cdan types- including pop-tops with the side cutting action that lifts the can top off and leaves a smooth edge . 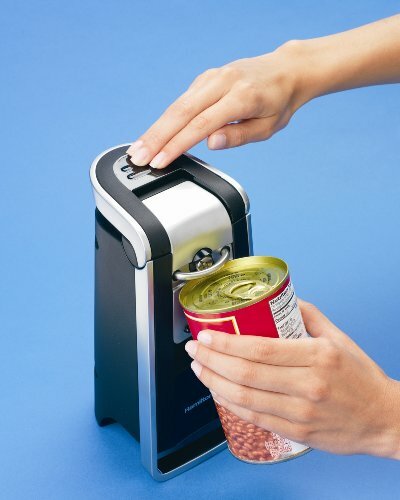 Large ergonomic lever is easy to operate. 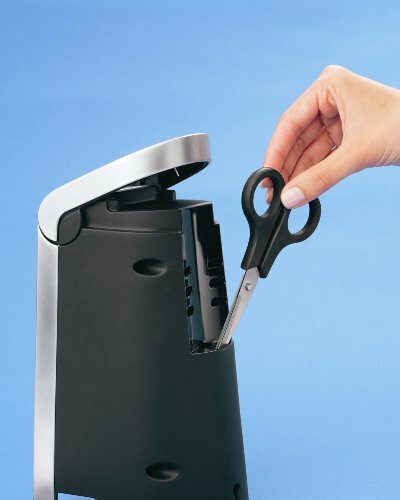 Extra tall design in black & Chrome to fit any kitchen décor .Includes stainless steel kitchen scissors & storage slotThis can opener will easily open all standard-size cans and cans with pop-top lids.